This weekend was my first opportunity to represent KQED in the larger San Francisco community. 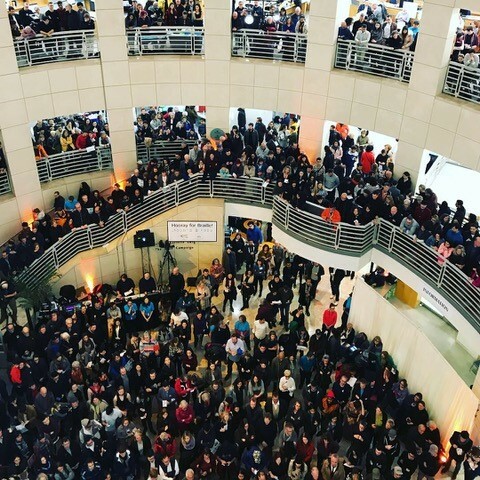 I was a volunteer at “Night of Ideas” on Saturday February 2 at the main branch of the San Francisco Public Library. “Night of Ideas” is “a seven-hour marathon of debate, performance, readings and music featuring top thinkers from San Francisco and beyond as we envision the city of the future.” There were scores of amazing programs happening all over the library, from 7pm to 2am, that roughly 5,500 people participated in. 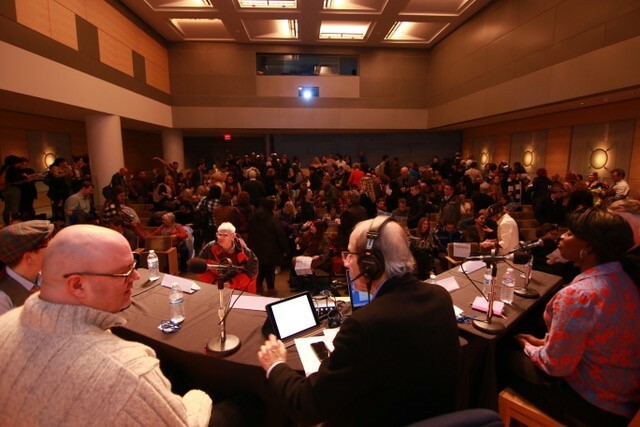 I was tasked with being one of the “house managers” for a live broadcast of KQED’s signature civic discussion program Forum in the library’s main auditorium. My job was to help manage the flows of audience members throughout the evening, ushering them to seats and keeping them quiet during the live radio broadcast. It turned out to be a very easy job, since a crowd of people arrived at the start of the program, sat down in all of the 235 available seats and didn’t leave. Everyone was quiet and respectful during the taping. Liz Ogbu, designer, urbanist; founder and princicpal, Studio O. It was really awesome seeing Michael Krasny in person masterfully moderate the hour long program. He was able to smoothly introduce and interview each of the four guests, find connections among their differing perspectives and viewpoints, weave an overarching narrative that the audience could follow, and bring in audience questions and comments. And then wrap it right at the end of the hour. As someone who has produced and hosted his share of interviews and forums, I was so impressed with his skill and professionalism. 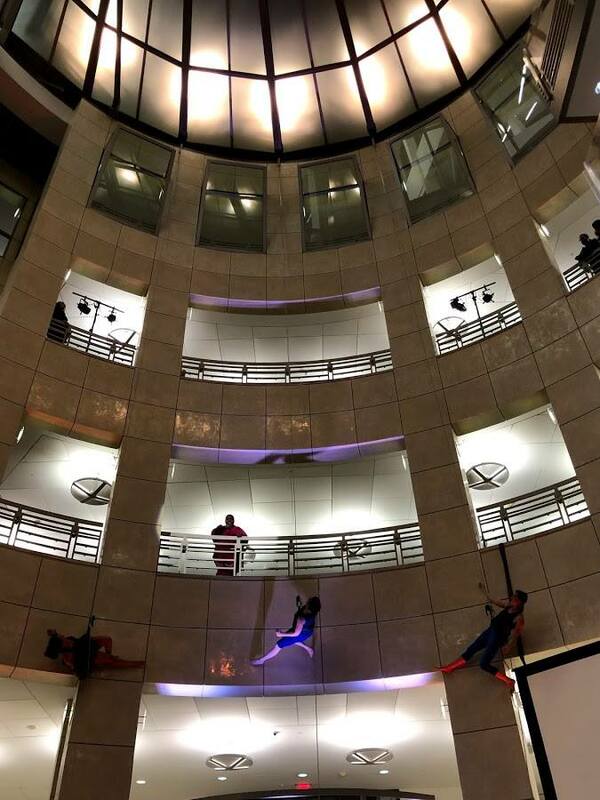 After helping out at the Forum, I saw a couple of incredible performances in the atrium, including the aerialist dance troupe Bandaloop. I’ve been hearing about this group for years, but never had a chance to see them in person. Such a unique and beautiful form of expression. Overall, it was so inspiring being among a huge crowd of civic-minded San Franciscans, eager to learn, discuss and act on important issues our city and nation faces. I have a bit more optimism about our democracy. And a bit more pride working for KQED.